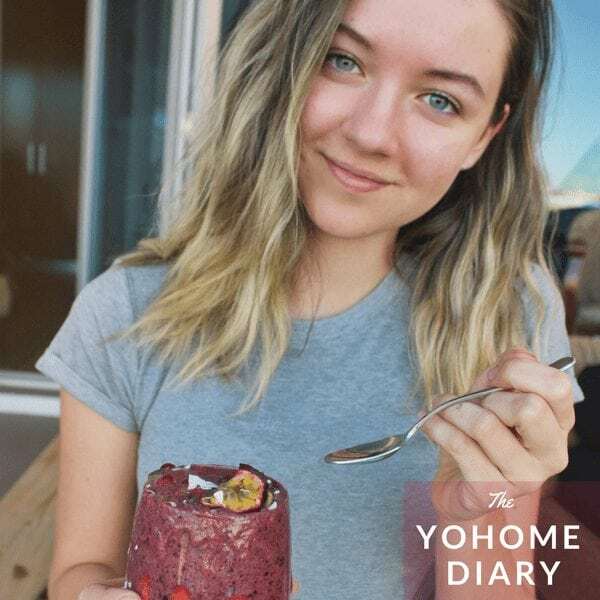 After transitioning to a plant based lifestyle a few years ago 16 year old YoHomie, Daisy, discovered her passion for all things food and health! It was then she decided to start her colourful Instagram account – @deliciousbydaisy – to share her glorious creations in the kitchen as well as to educate others on how delicious healthy vegan food can really be. YoHome: A favourite affirmation or quote? Daisy: My favourite quote has always been, ‘you will never change the world trying to be like it’. YoHome: What do you love about yourself? Daisy: I really love my creativity and imagination. I am constantly dreaming and it always keeps me entertained. Even though I might not always be the best at everything I attempt! YoHome: What is the feeling of ‘home’ for you? Daisy: Home is a warm feeling, that brings me safety and security. Whenever I am home, I always feel an overwhelming sense of gratitude. Daisy: So much makes me smile! When the sunshine, how excited my dogs get when I come home from school, rainy days, enjoying good company over good food… the list goes on. Daisy: I believe you truly have to nourish your body and take care of it in a way that you enjoy. There is no point trying to live a healthy lifestyle, if you don’t enjoy your exercise routine or the food you’re eating. It is all about finding balance that works for you and doing it because you love yourself. YoHome: What are 5 things we will always find in your fridge? Daisy: You will always find: coconut yogurt, rice milk, a (half-finished) jar of peanut butter, a lot of zucchini and fruit, depending what is in season! YoHome: Where do you look for recipe inspiration? Daisy: I love scrolling through Pinterest, Instagram and Youtube for recipe inspiration. Although, I do love attempting to ‘veganise’ old recipes I used to love! YoHome: What two pieces of advice would you give a vegan beginner? Daisy: When you first go vegan, it is always important to make sure you eat enough food, because whole plant foods have less calories, than processed animal foods. I would also suggest finding a few staple meals which are delicious and easy, for breakfast, lunch and dinner. YoHome: Are there any meals you repeat cook at home all the time? Daisy: I make oats just about every morning, which I seriously look forward. One of my go-to dinners is a lentil bolognese pasta, which my entire family loves too! Daisy: I am graduating high school at the end of this year, so I honestly have no clue! Hopefully I will be doing something I love, with people I love. Daisy Rockin’ our Stylish Bamboo Charcoal Top – CLICK HERE TO SHOP THE LOOK! This is a super easy, delicious and healthy snack you can enjoy at any time of the day. It is packed full of fibre, antioxidants & essential omega 3s! 1 – In a glass add the chia seeds and milk. Stir together and place in the fridge to thicken up. 2 – Add your banana, spinach and berries to a blender with just a dash of water (depending on your desired consistency). 3 – Once blended, pour over your chia pudding and decorate with your favourite fruits. 1000000 thank you’s must go to the inspiring Daisy for taking the time to chat to us & giving us a sneak peek into her inspirational life! Be sure to check us out on social media & keep an eye out for more interviews like this in the near future!